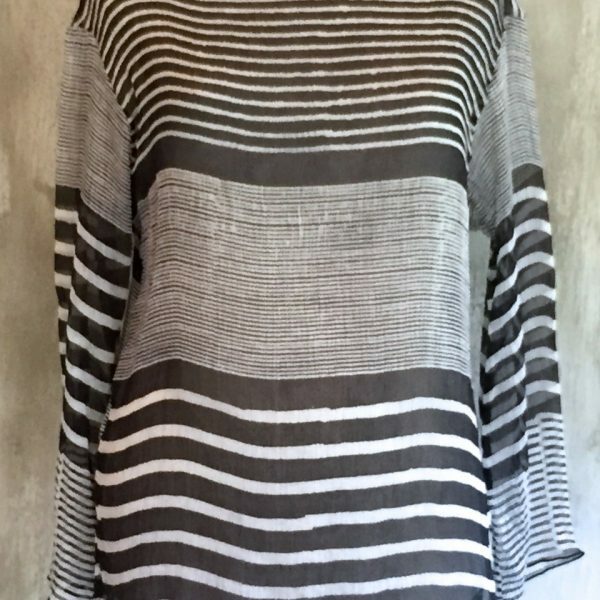 The KURTA CL is a boatneck version done in silk crinkle chiffon with side vents. 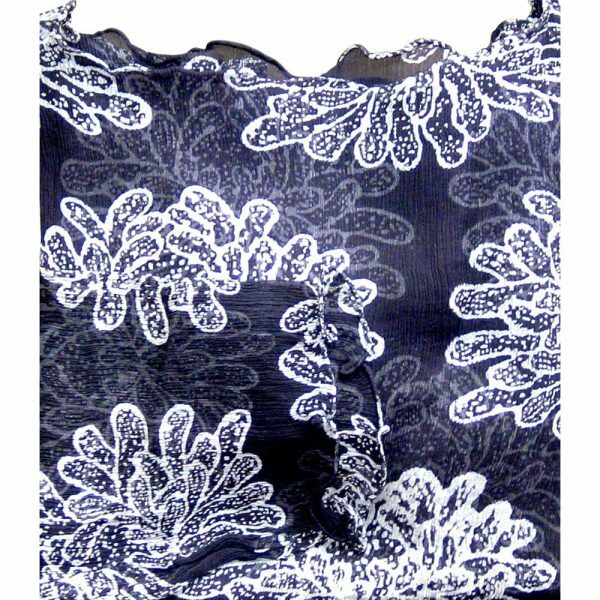 Hand-rolled and stitched neckline and bottom create a lovely curly edge (see photo detail) A bit transparent but a camisole works fine. 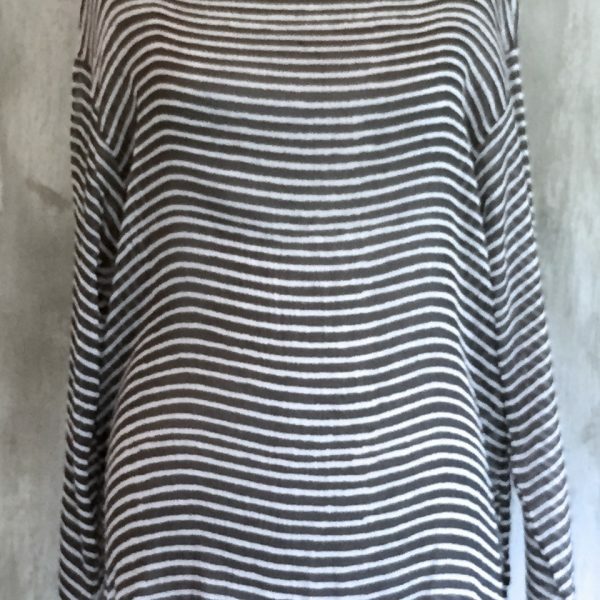 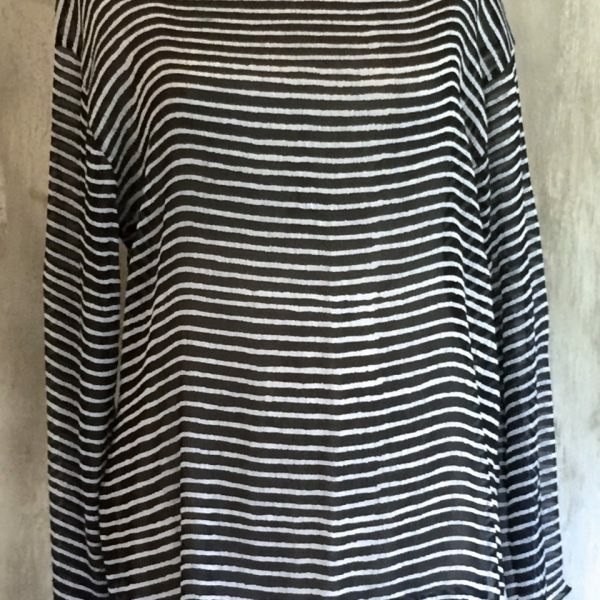 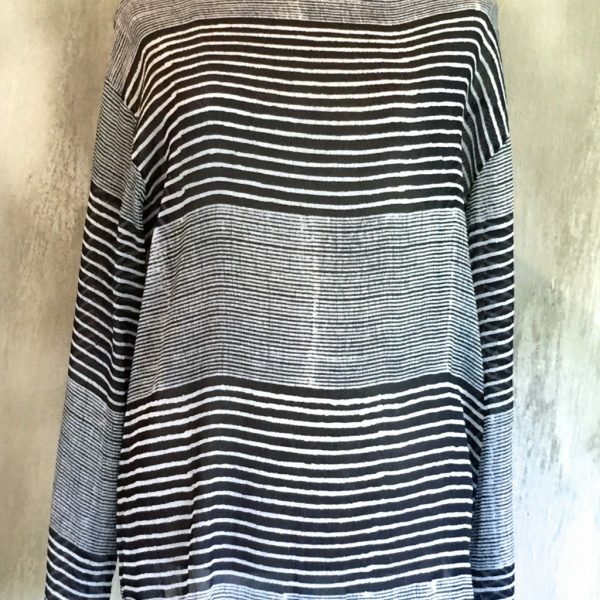 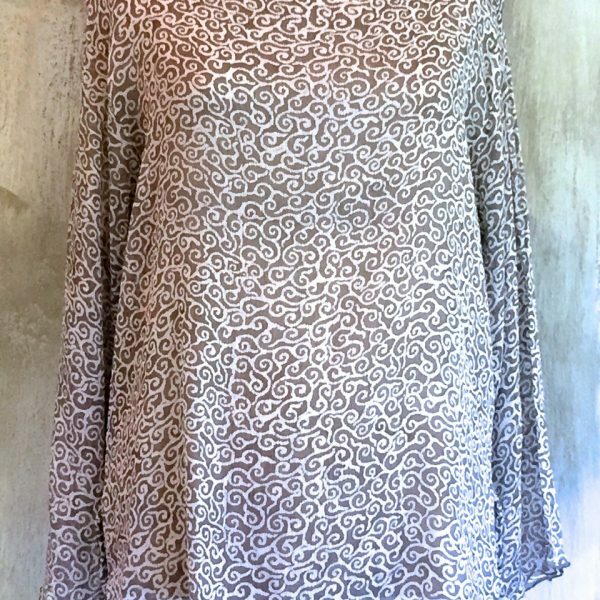 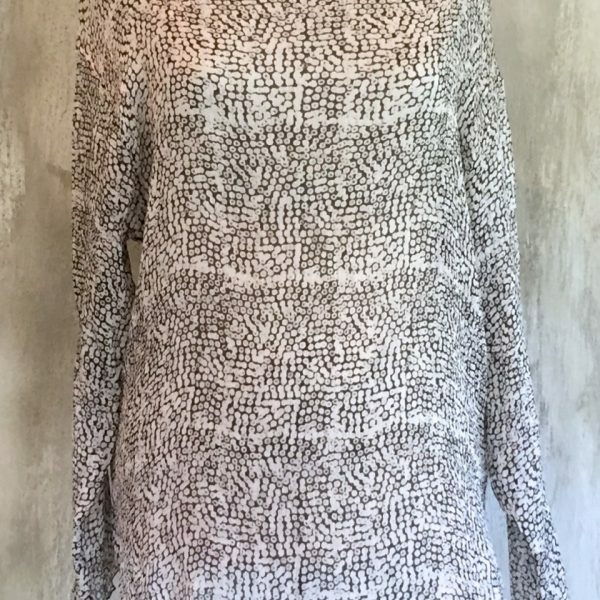 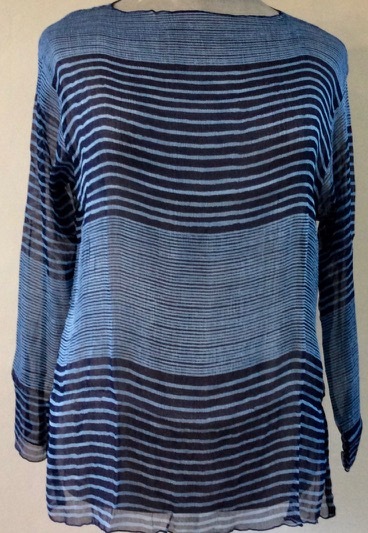 Great for travel ~ perfect for evening or a quick cover up from the beach for lunch.